Mike Morgan, CEO of The Red Consultancy, selects our third and final festive PR highlight. This year marks 20 years of the Channel 4 alternative Christmas message – a Christmas campaign for a brand that doesn’t really do Christmas. When its charter demands it produces content "… appealing to a culturally diverse society" and its rivals are fighting the festive ratings war with big budgets, Channel 4 could be forgiven for taking Christmas Day off. But not only does it take Christmas head-on, it takes on the monarch on her own appointment to view day. 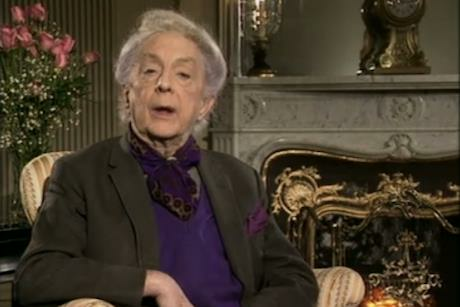 The first in the series was archly delivered by Quentin Crisp as 'the alternative queen's message' - watch it here. In the following years the satirical approach was replaced by more hard-hitting contributors such as Doreen Lawrence and a survivor of 9/11. The last time Channel 4 used it to really stir the pot was booking the President of Iran, Mahmoud Ahmadinejad in 2008. The fury it provoked in the broadcaster’s traditional enemies The Sun and The Mail was bang on brand. In recent years it has tended to use the slot to reflect its own content, with a Paralympian extending the message of the alternative games in 2012. Channel 4 publicity chief: "We do not just light the touchpaper and stand back"